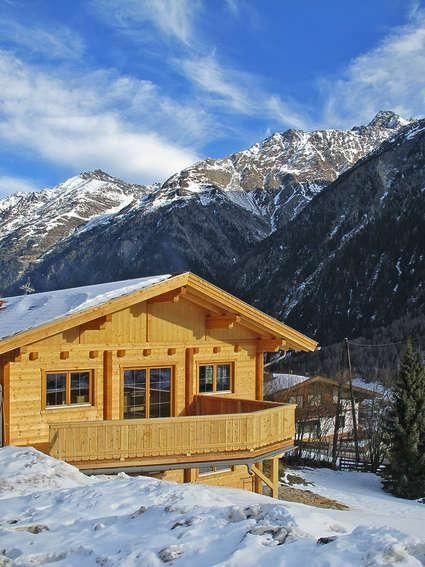 Our spacious holiday home was built in 2013 organic wood .Einzigartig the spectacular location high above Sölden with views over the village towards Timmelsjoch, only 50 meters from the slopes. The house consists of a grösszügigen lounge with a fully equipped kitchen with large communal table and sitting area with large flat screen with satellite reception. Access to the panoramic terrace. Our five spacious bedrooms are furnished with a double bed and single bed and shower / WC. Our massieven Zirbenmöbel provide a sound sleep for an excellent Raumklimaund. After skiing you can recharge your batteries in the sauna. Our ski room is equipped with heated boot dryers. Unhttps: // www. HomeAway. de / lm / 651st 2,334,792th 2464169 / amenities. html # sere bathrooms are equipped with shower toilet wash-basin and hairdryer.